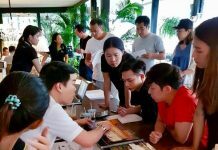 Developers of the iconically designed and award winning Movenpick Residences and Pool Villas situated in Na Jomtien recently announced that the project is now open for residents to start moving in. This 4.2 billion baht venture by Apex Development PCL comprises a 34-storey north tower incorporating the 264-room Movenpick Siam Hotel Pattaya, the 37-storey south tower featuring the Movenpick Residences and the 34 stunning pool villas. The total land area of the project is 30 rai with it sitting alongside the famous Ocean Marina Yacht Club. The 34 and 37-storey north and south towers of the Movenpick Residences and Pool Villas project in Na Jomten, Pattaya. Residents can enjoy a fitness center, pool & table tennis room, kid’s playground, sauna, tennis courts and a large swimming pool by the beach. The hotel is due to have its soft opening in mid-December and owners and guests on the residential side can utilize their VIP card for discounts at the hotel. Director of Sales and Marketing, Andy Heyden, said Apex Development was delighted with the sales performance so far, with the south tower now 80% sold out and the pool villas currently at 60%. The huge free-form swimming pool sits adjacent to the beach. Heyden said that now that the project is ready to move in, guests can enjoy the full facilities and five-star hospitality at the hotel and in addition owners are being treated to a cruise trip on a Lagoon 500 catamaran. “We were faced with some delays during 2012 and 2013 due to the shortage of skilled construction labour, especially foreign labourers, but most of our clients understood the situation and accepted the delay,” he said. 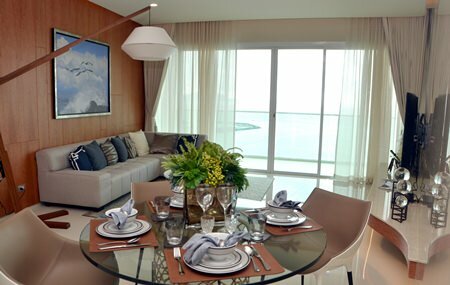 Apartments in the Movenpick Residences south tower provide stunning ocean views. 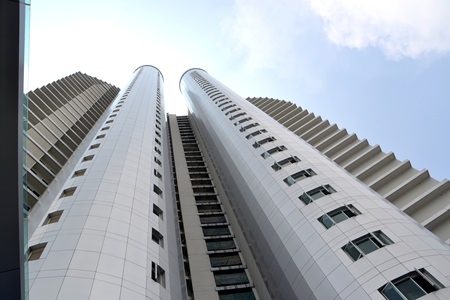 This lengthy building period has seen some benefit for early buyers as due to the increase in land prices they can now expect a return on investment of around 10-12 percent. 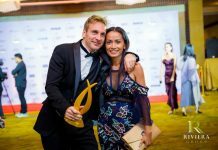 Movenpick Residences and Pool Villas received welcome recognition at this year’s Thailand Property Awards where the project came first in the Best Luxury Condo Development Eastern Seaboard category. Winning criteria included design, amenities, location, value for money, construction and materials, state of completion and sales success. 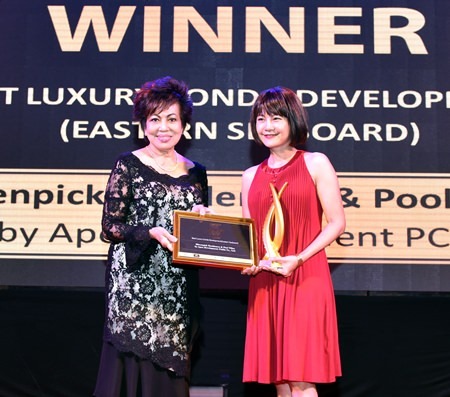 Jenny Sansiriumporn (right), Senior Vice President of Apex Development PCL, receives the Best Luxury Condo Development (Eastern Seaboard) award for the Movenpick Residences and Pool Villas from Nancy Suvarnamani of The National Association of Realtors during the Thailand Property Awards 2015 held in Bangkok in September. 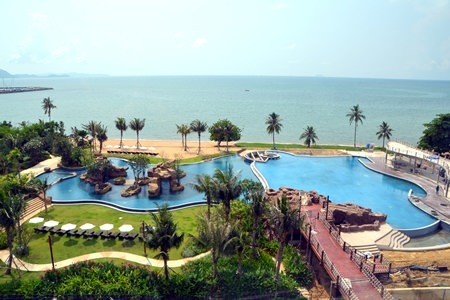 More information can be found online at: movenpick-pattaya.com.